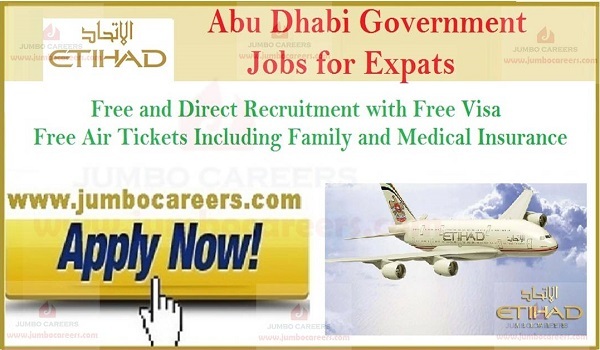 Abu Dhabi government owned company Etihad airways conducting free recruitment 2019 to fill various vacant positions. Attractive salary package and government of Abu Dhabi benefits offered for selected candidates. Its a free and direct recruitment by Etihad Airways.